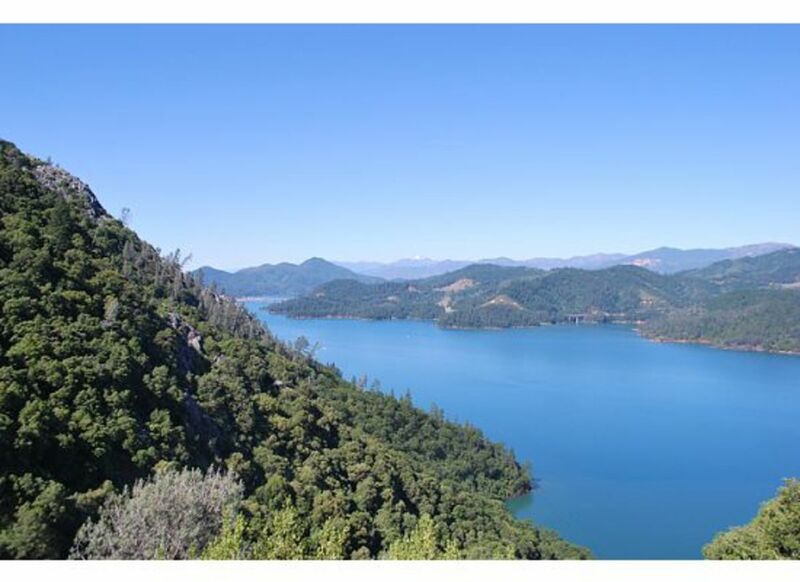 Lake Shasta in Northern California is known for its beautiful blue waters and long, warm summer days. 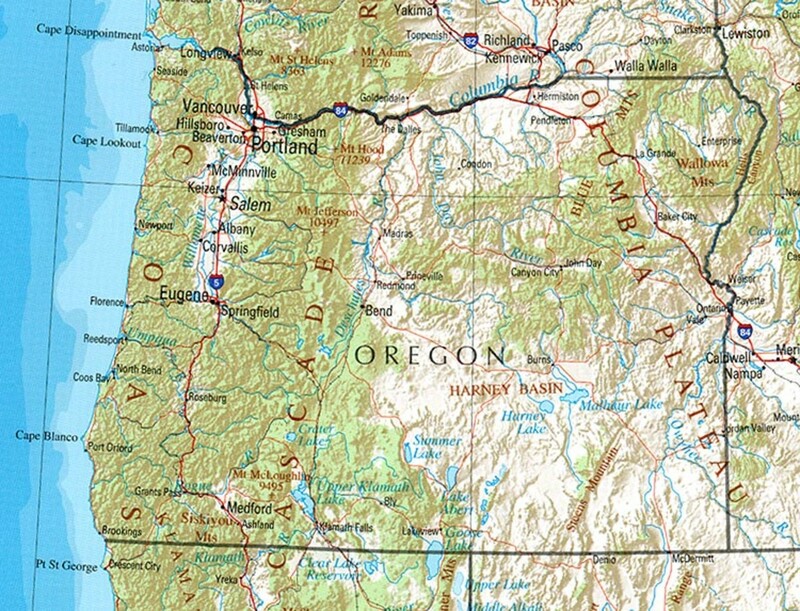 Many people travel to recreate in the area year round - from houseboats to camping, fishing, hiking and bicycling - there are so many opportunities for outdoor fun. The lake itself is artificial; it was created by construction of the Shasta Dam in the mid-1900s over the Sacramento River, Pit River and McCloud River. The giant reservoir that resulted is the state of California's third largest body of water with an impressive surface area of 30,000 acres. If your vacation takes you to California this year, don't miss the Lake Shasta Caverns, about 15 miles north of Redding, California. This tour is a great learning experience for young and old alike, and well worth the price of admission. We visited the caverns in June, on our way up I-5 back to Oregon. As my photographs attest, this is one travel excursion that our family will never forget. The tour of the Lake Shasta caverns takes about 2 hours from start to finish. After paying your admission, head down towards the lake and board the catamaran. 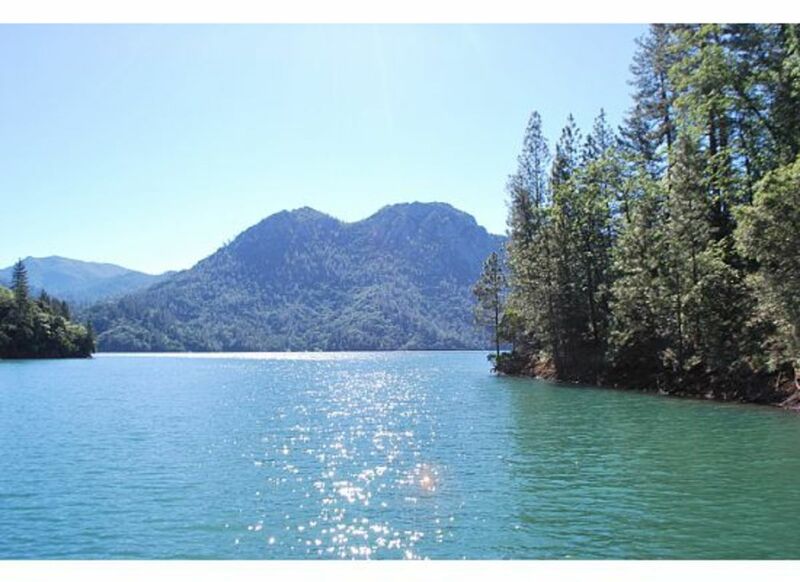 You’ll be able to enjoy the natural beauty of Lake Shasta during a 15-minute crossing. Be sure to look up and scan the skies for a possible Bald Eagle or Osprey sighting. In June, we were courted by butterflies flitting about near the shore and delighting my daughter! After the boat docks on the opposite shore, you’ll walk over to a 30-passenger bus that will drive you up more than 800 feet above the waters to the entrance to the caverns. 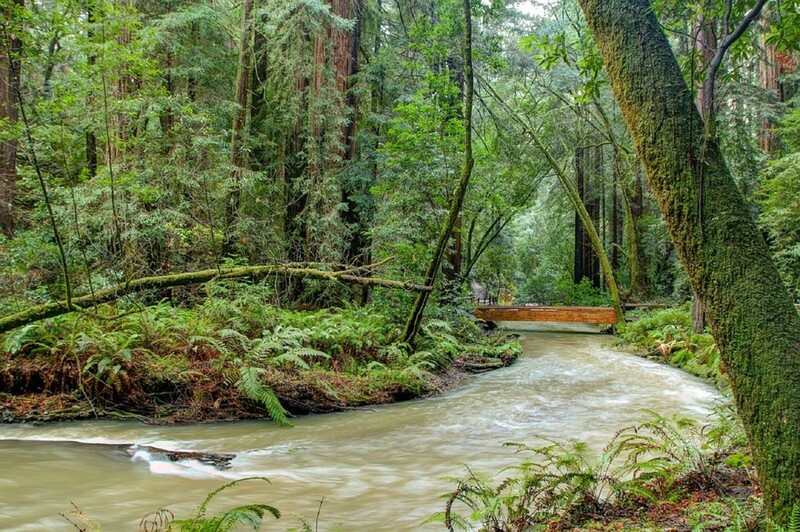 The road is quite narrow and winding, which gives you the feeling that you are right there in the natural forests. Keep your eyes out for jackrabbits, deer and other wild animals. As you ascend the mountainside, the tour guide will describe the magnificent sights out the window. You’ll see the Veterans of Foreign Wars Memorial Bridge from a distance, and also get up close and personal with a huge rockslide that occurred hundreds of years ago, wiping out a significant portion of the mountain. If you are afraid of heights, be sure to sit on the upslope side of the bus (behind the driver on the way up, opposite the driver on the way down). After another 10 minutes, you’ll reach the station at which all passengers will disembark. The views from the top are stunning. Huge limestone rock formations erupt from the green forested hillside. The waters below are crystalline blue. Whatever you do, don’t forget your camera! 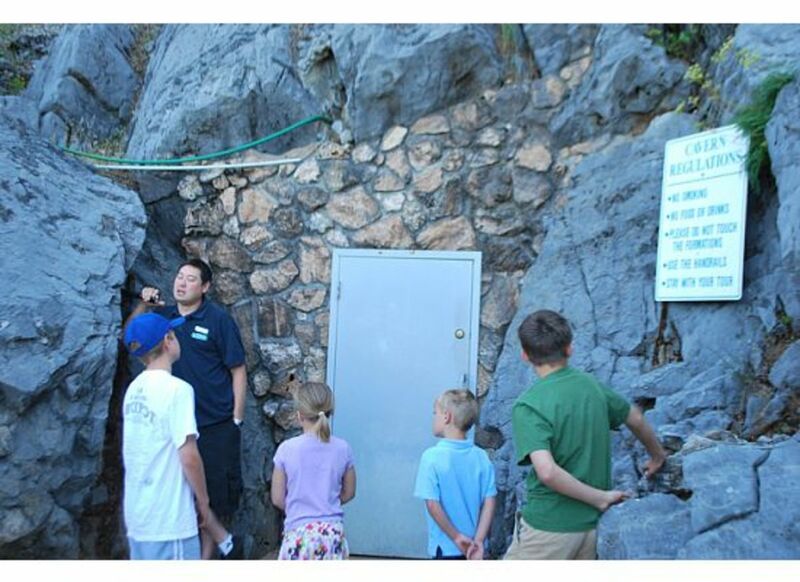 The tour allows about 5 minutes for you to use restrooms, drink some water and assemble at the door to the caverns. All tours are directed by a professional guide. 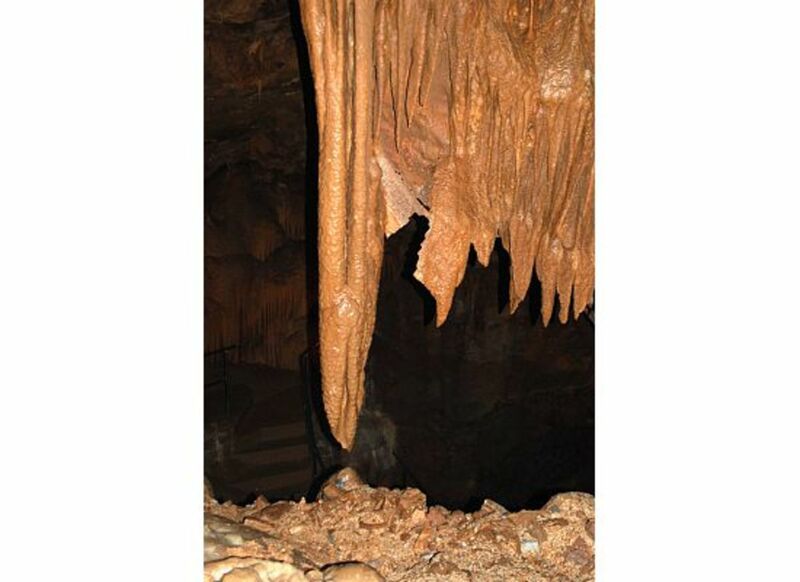 Not only will this help you learn about the fascinating cave formations, but don’t have to worry about getting lost! Cameras and water bottles are allowed, but no other food and drink. The caverns are about 10-20 degrees cooler than the outside air, so you may want to bring a sweatshirt or jacket. I will admit that I was a little concerned about touring the caverns since I can be a bit claustrophobic. I was pleasantly surprised, however, that the “rooms” inside are… well… cavernous, and I wasn’t at all anxious. The entire experience includes paved walkways and concrete steps and handrails on the inside, as well as interior lighting. Be prepared to do some climbing up some steep stairs. The day after our tour, my calf muscles were quite sore! When you enter the caverns, you’ll walk about 25 yards to the first “room.” The tour guide will stop and allow the group to assemble before starting his instruction. Each guide carries a flashlight which is used to direct attention around the rooms. You’ll be reminded not to touch any of the formations because natural oils on your hands could disrupt or even stop the growth of the stalagmites or stalactites. The guides are extremely knowledgeable about the geologic formations. You’ll learn that the ones that grow from the ceilings are called stalactites because they hold “tight” to the top, and the ones that grow from the bottom are stalagmites because they “might” reach the ceiling one day. We learned about flowstone deposits, stone draperies and how they occur, and marveled at the sparkling crystals that light up the room when the flashlight is shined on them. 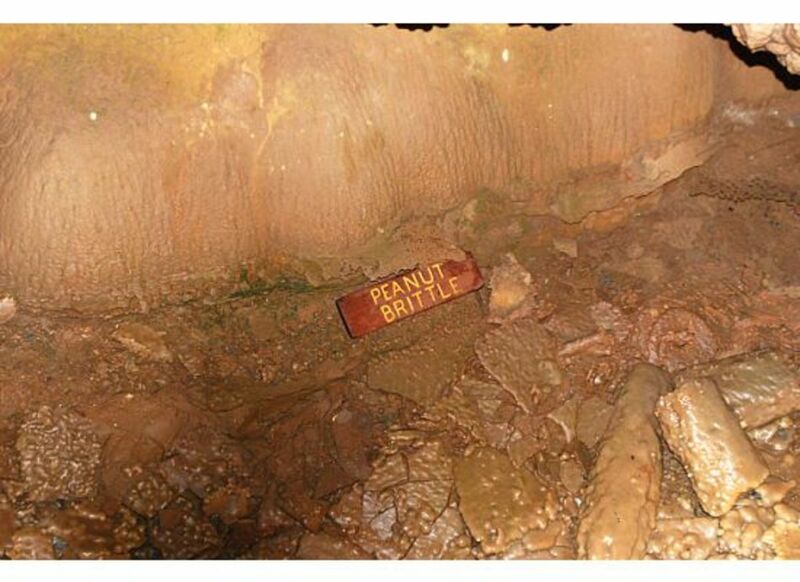 Among other things, we heard about “peanut brittle” which occurs when a false floor breaks and the pieces fall on the cavern’s true floor. Considering the fact that it takes 100 years for the formations to grow a single inch, it is nothing short of amazing to witness the columns that are 8-10 feet in length! Geologists agree that the Lake Shasta Caverns is one of the most beautiful and amazing limestone and marble caves in the nation. It’s the perfect science field trip for your children, and a wonderful learning experience for you as well. Our tour guide explained how the Lake Shasta Caverns were discovered in 1878 by a federal fisheries employee, James A. Richardson. 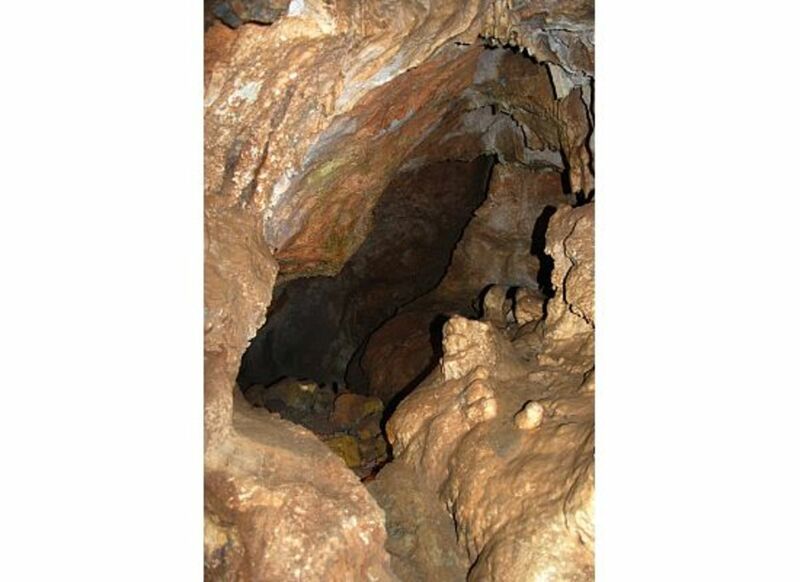 However, according to Wintu Indian tribe lore, the caverns have been known for many hundreds of years longer. We learned about the laborious task undertaken by the Thompson family to create each of the hundreds of concrete steps inside the cavern and then to transport them up the mountainside in the 1960s. As the task wore on, the steps became smaller and smaller. One of the steepest, narrowest climbs inside the caverns is called the Tinkerbell staircase. Perhaps the most fascinating story we heard during our tour was how, many years ago before the caverns were opened for public tours, Freemasons held initiation rituals inside. Men would venture deep into the caverns and then would be instructed to find their way out with only a few provisions. Some would literally emerge naked many days later, having used their clothes to burn for torches. Certainly, others did not even make it out! Its easy to get to the Lake Shasta Caverns. From I-5, take exit 695 - its about 15 miles north of Redding, California. You will follow Shasta Caverns Road about 2 miles to the parking lot. Its narrow and windy, so you'll have to take it slow. Parking is free, which is great. Particularly because the tour itself is fairly expensive. For an adult, admission is $22, and children ages 15 and under are $13. Kids under 3 years of age are free. 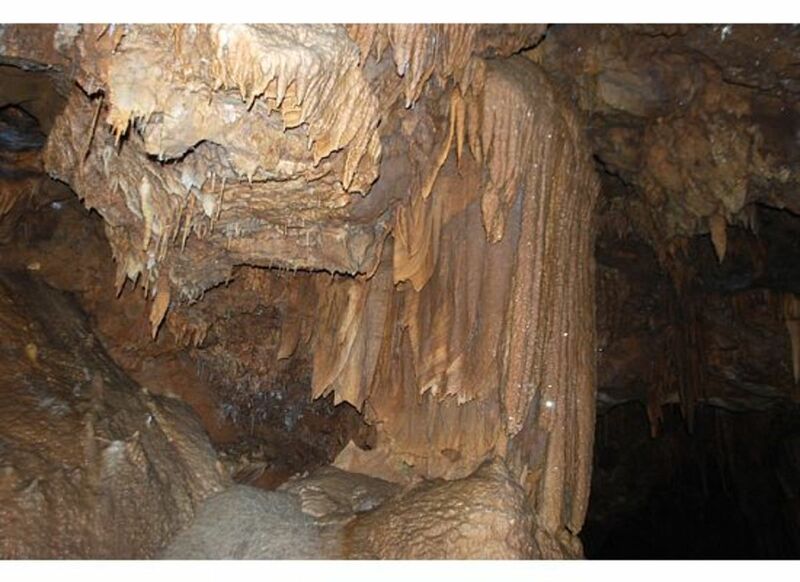 Lake Shasta Caverns also offers annual passes for $55 (adults) or $33 (children). If you have a larger group, be sure to call 1-800-795-Cave in advance of your visit for reservations and possible group discounts. The caverns are open every day of the year, except Thanksgiving and Christmas. Hours vary depending on the time of year. 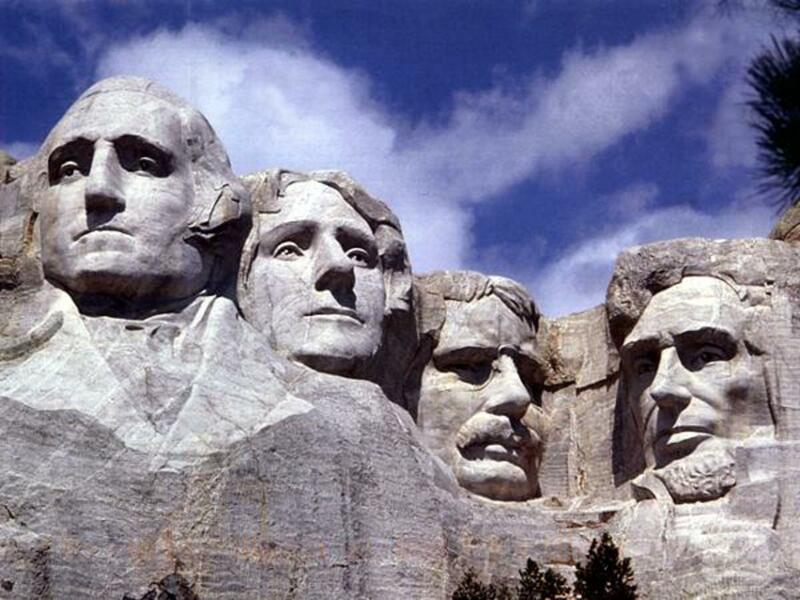 From Memorial Day to Labor Day, tours leave every 1/2 hour from 9:00 - 4:00. In April, May and September, tours depart on the hour from 9:00-3:00. From late fall to early spring, there are three departures at 10:00 a.m., noon and 2:00 p.m.
Appreciative of the SHASTA CAVERNS reviews. Thanks. I was just there last weekend with my son. Definitely a fun trip for the whole family! Your pictures are very attractive. 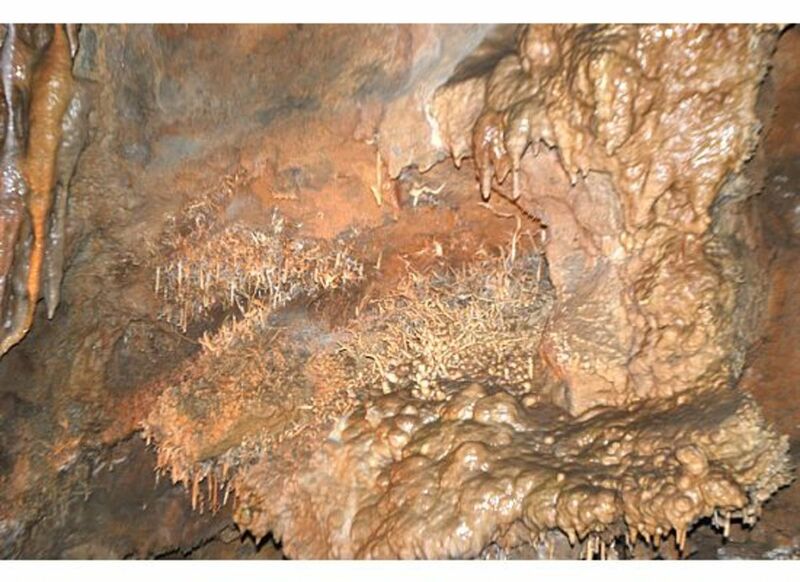 I can't believe I live less than an hour away from the Lake Shasta Caverns and have never visited. After reading your article, I think now I will make plans to take a trip down to see this interesting place. 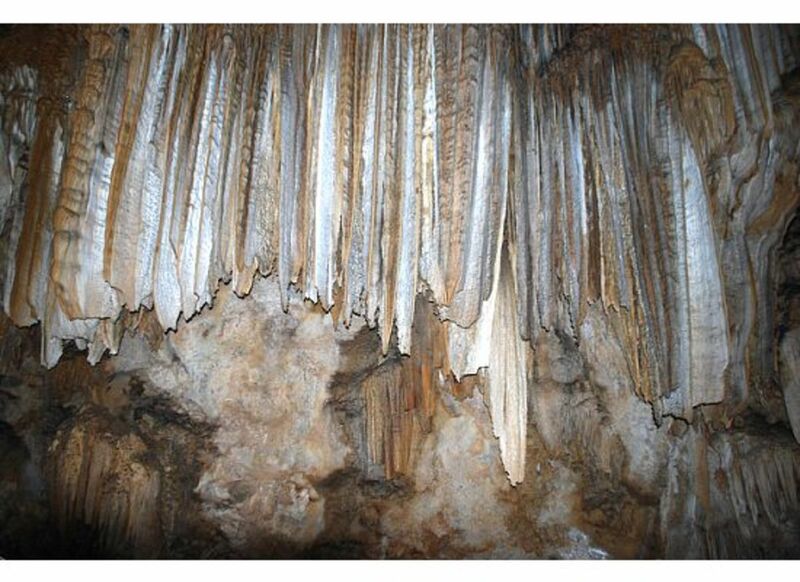 Steph, This mnemonic device for differentiating stalactites from stalagmites is charming: "the ones that grow from the ceilings are called stalactites because they hold 'tight' to the top, and the ones that grow from the bottom are stalagmites because they 'might' reach the ceiling one day." 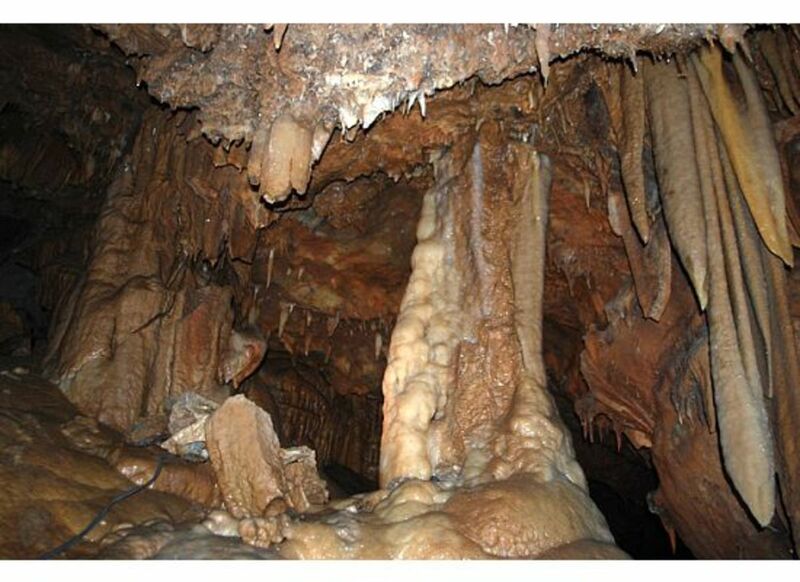 My childhood mnemonic device was "c" in stalactite for ceiling and "g" in stalagmite for ground; those phrases still echo through my mind every time I see caves or look at photos of caves! Mount Shasta caverns are beautiful! Not only are you an interesting travel writer, but you are also a wonderful travel photographer. We really did love the Shasta Caverns. I think my children (and I) learned a lot. Nothing like getting out into the real world for some fantastic experiences! WOW--what a great hub! I've never been to these caverns, but know people who have, and described that bus ride as "hair-raising." As an amateur geology buff, I've long known the difference between stalactites and stalagmites--but had never before heard of that particular mnemonic device for recalling which is which. Very clever. Nice photos, and nice camera work on the video as well. Thank you rugsdynamic and MisCook - I agree that the photos are not even close to the experience inside the Lake Shasta caverns. It is a very fun adventure! From the boat ride to the trip up the mountain and of course the guided tour inside the caves. Thank you both! If anyone is reading this hub and has not been to these caves, you are missing out on a great adventure. Next time don't just drive past, stop-you won't regret it. Thanks Steph for posting this hub. Haven't been to CA for a couple of years, but last time I was down I did give the caves a visit. This hub is fantastic but nothing compares to actually being inside those caves, so for all of you heading that way you should definitely make a stopover-you will never forget the experience. Thanks for posting this hub, some great info. Planning a trip down that way in a couple of months and will definitely make a detour to visit these caves. Wow Steph, what a great hub! I think you should be the spokesperson for Lake Shasta. 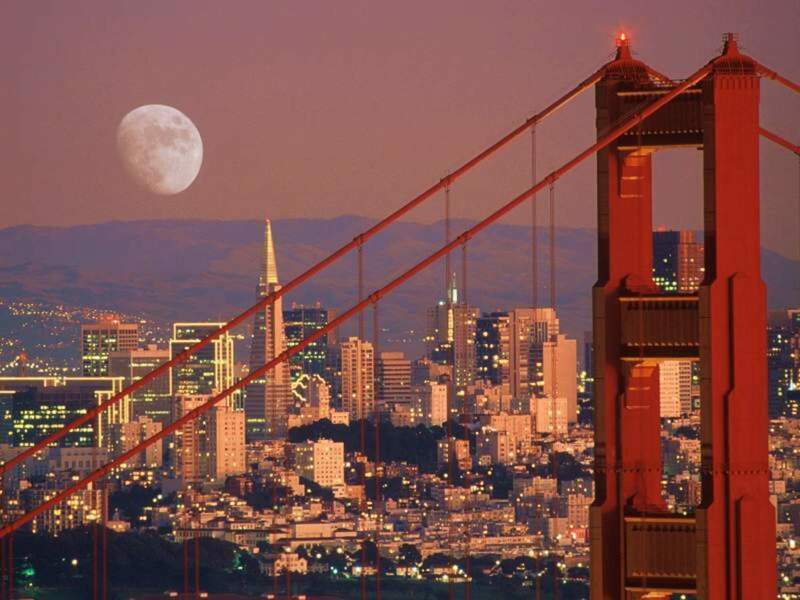 I sure miss CA! and this just reminded me even more of that. I voted it up. What a gorgeous hub you created! The writing and the photos are superb. Getting to ride across the lake as well as viewing the caverns...what a great destination of beauty in abundance. Thanks! Neat place! I wanna go! I had the privelege of living in that area for quite a while. Though I never visited the caverns (my loss) I enjoyed so much the beauty of the area. Thanks for this wonderful Hub.